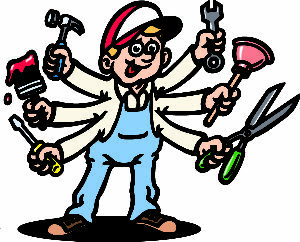 A handyman is a person skilled at a wide range of minor repairs or maintenance work. (Frequently known as A Jack of all Trades, Master of None or Chuck in a Truck.) They are not required to have a state license, nor required to have any training or carry any General Liability insurance to protect your home from unforeseen incidents that may occur. They also are not required to carry Worker Comp insurance which protects the homeowner from unwanted lawsuits if someone gets hurt on your property. Anyone with the ambition and tools can call themselves a handyman. 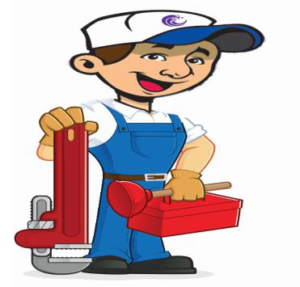 They are your DIY person who decides to go into business, which is why they are referred to in the service industry as a “Chuck in a Truck.” A handyman’s standard rates are lower than a Licensed Plumber, but the level of expertise and knowledge is not to be compared. the state, they must maintain liability insurance and are also required to take ongoing training courses to keep them updated. Don’t resort to using an unlicensed plumber or a handyman who is unqualified for the job. This can result in an incomplete assessment of the problem & an incorrect solution, wasting your time and money.